A few weeks ago, I attended TBEX (a professional development and networking conference for travel bloggers) in Fort Lauderdale, FL. As part of the conference, we were able to take the tour of our choice to experience some of the best activities and attractions that Fort Lauderdale has to offer visitors and tourists. 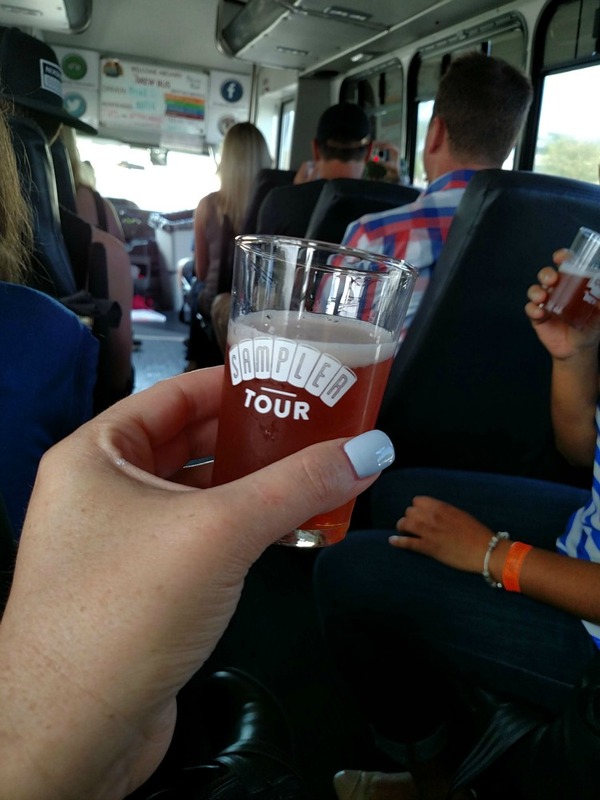 One of the tour options was a tour of 4 local breweries aboard the Brew Bus! Needless to say, this was an easy decision for me as I love craft beer and seek out breweries wherever we travel. I made the right choice! 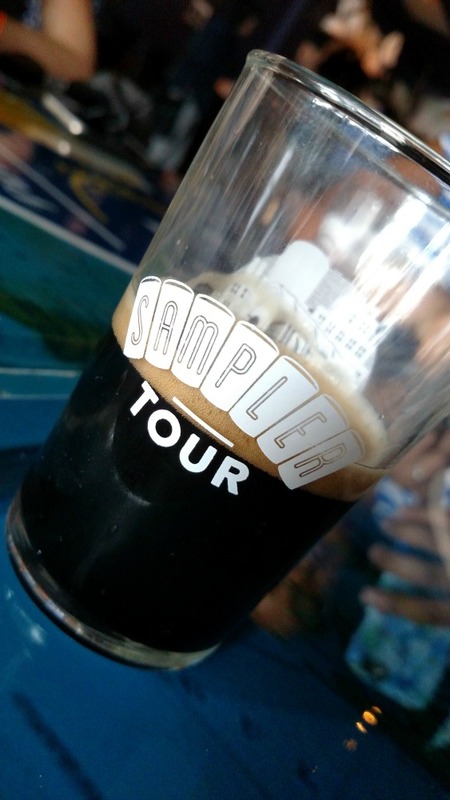 The tour was so much fun and the beer was fantastic! I gotta say this was my first tour of breweries on a bus and without a doubt this is the way to do it. The bus was very comfortable and a ton of fun. The tour guide and bus driver were friendly and had a great music selection which made the party on the bus rockin! The tour lasted about 3.5 – 4 hours. I was having I kinda lost track of time. All of the breweries were welcoming and prepared for our group. 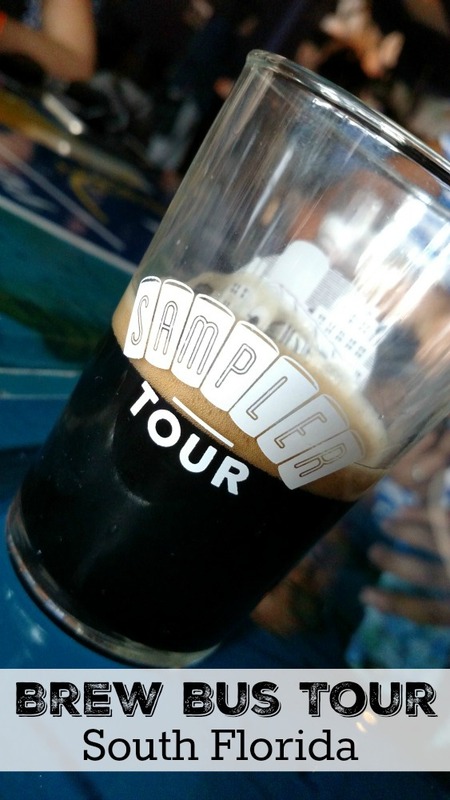 On this tour we visited LauderAle, Funky Buddha, Mack House, and Craft Beer Cartel. 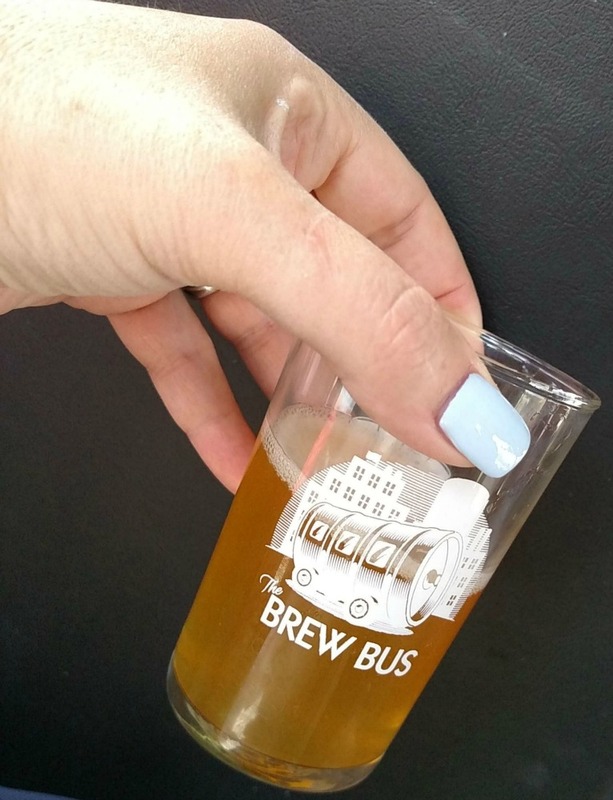 Not only did we visit four different craft beer establishments, the Brew Bus brews it’s own beers and we got to sample several of them on the bus. I gotta say I was a little skeptical at first and I am not quite sure why but I was happily surprised at how good their beers were. First up was a blueberry wheat beer called “You’re My Boy Blue”. It was a very good fruit wheat beer with just the right amount of blueberry balanced with the lightness of a wheat beer; a great way to kick off the tour. 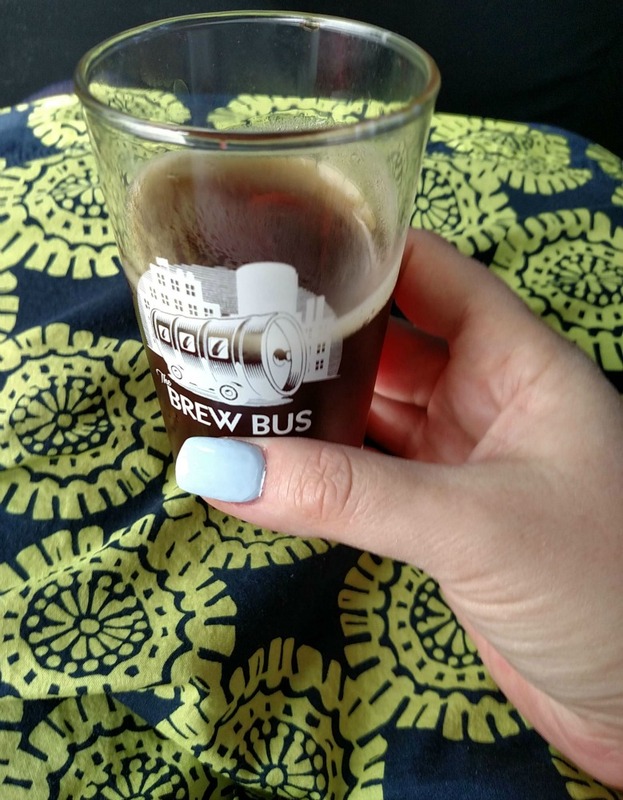 We tried one Brew Bus beer on the bus in between each of our stops at the 4 locations. The next beer we sampled was called “Are Wheat There Yet?” and was a hoppy american style wheat ale. I am normally not a fan of wheat beers and even if I like one it is never my go to beer. So keep that in mind when I say this was my least favorite Brew Bus beer. If you love a good wheat beer then this beer would probably be a hit for you. I did enjoy the hops in this wheat beer and is probably why it was drinkable to me. Some of my new friends I just met on the tour really enjoyed this beer but just between you and me my level of beer snobbishness probably far exceeded theirs. Maybe, maybe not, but i have been to a lot of breweries and tasted a lot of beers (hundreds). Next up we tasted the “Rollin’ Dirty” an Irish Style Red Ale. It was a solid red ale. I remember when Killians was the only Irish style red ale that was available at bars and in bottles. I really enjoy an easy drinking red ale and this was a good one. You can expect a red ale to be slightly sweet and mild but also have some distinct flavors and for this reason I think it can be a good beer to help expand the pallet of beer drinkers who tend to stick to american style lagers. The last beer we tasted on the Brew Bus South Florida Tour was the “Last Stop”, an IPA. One of the questions I get most often when I talk about my favorite beers is “What is IPA?” IPA stands for Indian or India Pale Ale. An IPA is characteristically very hoppy and is often times considered an acquired taste. I can vouch for that as I used to not like an IPA at all and now it is one of my favorite styles of beer. I think that the strong taste of hops can also carry with it other strong flavors and I really like a unique flavor in an IPA. The Brew Bus Brewery IPA was a good beer and I was not disappointed with it. It was my favorite of all the beers we tasted on the bus. Sadly, I forgot to take a picture of it so I guess I just need to make another trip to South Florida and take another tour, darn! 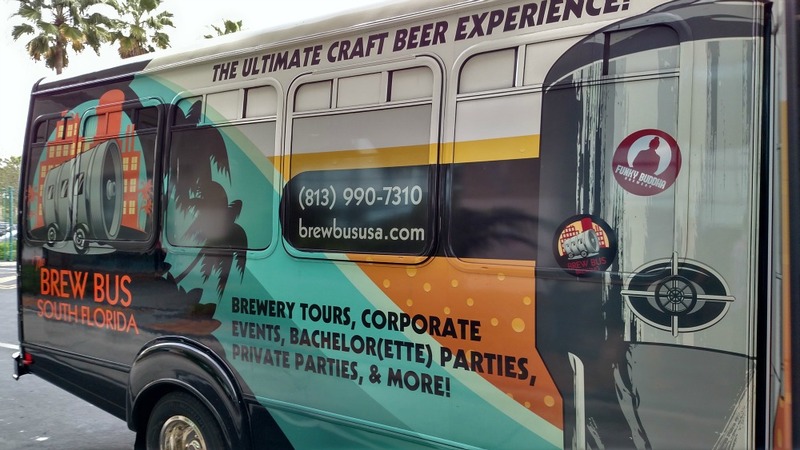 The next time you are vacationing in South Florida, Tampa, or Jacksonville, consider taking a Brew Bus Tour. There is no stress from driving in traffic or trying to find a brewery. It is safer since you do not have to drive yourself around and you are sure to make new friends over a few great brews. Cheers! I loved the tour! It was so much fun and the beer was delicious. 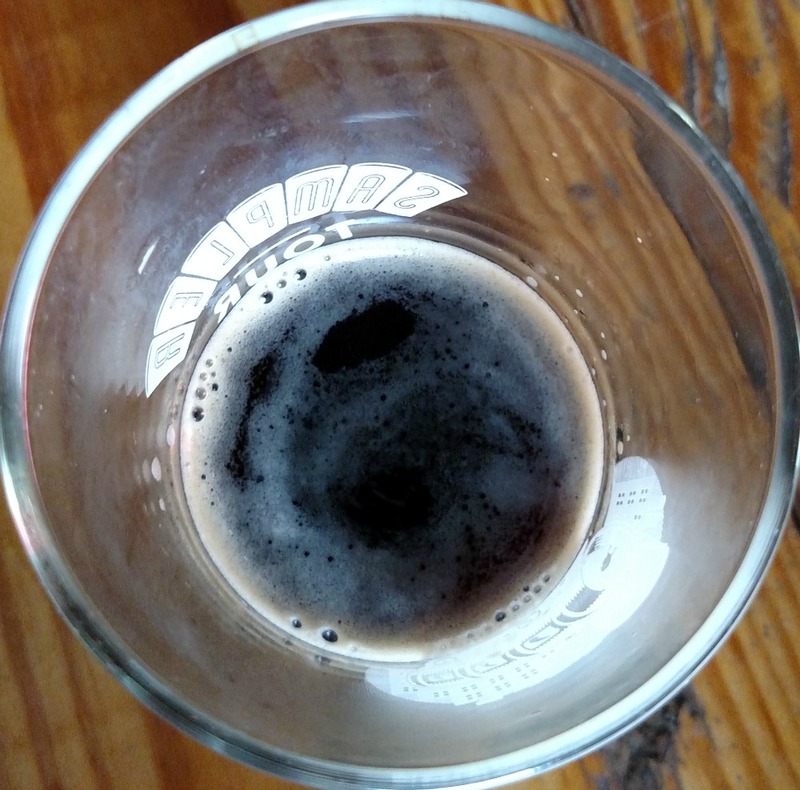 My favourite was the coconut porter…delicious! !